Caring for the elderly can be a challenging task, either as a profession, or within one’s own family. As people advance in years, quite often they can be hit with senility, dementia or Alzheimer’s. This can make them difficult to deal with, as they can become angry or mean to their caregivers. Fortunately, as Reiki practitioners, we have a powerful tool to help smooth out the rough patches and work with these patients. Using Reiki brings us the ability to deal with what can be a very sad and difficult time of life for all involved. Let’s look at a few ways that we can take action to improve end of life care for our patients and ourselves for the highest good of all concerned. It can be devastating to watch a once vital and healthy human being become forgetful and ill, and even have a complete personality change. It is exceptionally hard for adult children to have a parent who doesn’t recognize them anymore. All of this will take a toll on us as caregivers unless we take the time for self-care, and as Reiki practitioners that means daily Self Reiki. Make sure that you start your day with your own self-healing. My students and I find that doing our Self Reiki in bed before we get up sets the tone for the day. Daily Self Reiki heals and corrects our spiritual energy systems so that we can deal with stressful events in a calm and collected manner. You cannot give water from an empty well, and if your energy systems are not operating at full capacity it is very difficult to be a caregiver. Give yourself the gift of daily Self Reiki, and watch your ability to cope and be at peace during stressful times improve. Before you even begin your journey to where you are caring for your patient, make sure to sit in quiet meditation for a few moments and send distance Reiki to them. I like to close my eyes, place my prayer hands over my Third Eye and say silently “Reiki, please heal (the patient’s name) in body, mind, and spirit for the highest good of all concerned” and then send the Reiki symbols to them. As the beautiful energy of Reiki flows to the person and situation, it will make the day to day work of caregiving so much more smooth and enjoyable. Make sure to thank the Reiki energy when you are finished, and watch the magic begin. 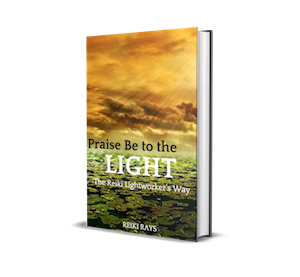 I have seen real breakthroughs with elderly patients who have become much calmer and easy to deal with after sending distance Reiki. Try it yourself and see! One of the really stressful things about looking after the elderly is that you never know when a crisis or emergency will crop up. As people become more frail, devastating falls or health emergencies will inevitably happen. This is the reality of end of life care. To help you and your patient through these stressful times, make sure that as soon as an emergency strikes you begin to send the Reiki symbols to the situation, for the highest good of all. 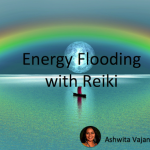 As you go about dealing with the emergency, visualize the Reiki energy flowing to your patient and yourself so that you can deal with the crisis in a calm and effective way. As you send the symbols to the situation, you will find that your decision-making process will become crystal clear and your calm and collected demeanor will help the patient and any surrounding people from panicking, which makes a bad situation worse. Reiki helps to ground us, and from this stable foundation comes the power to truly help those in crisis. Using Reiki in these ways has helped myself and my students in the very challenging and rewarding role of caregiver to the elderly. Try these techniques yourself and enjoy the peace of mind that comes from the miracle of Reiki. You will be glad you did! Thank you so much for your kind words! I really feel that using Reiki in every part of our lives lets us slow down and enjoy our interactions with all of God’s creatures. Thank you Amber, wonderful to hear that this article has helped you in your work! I work with the old folk and disabled,I’d love to do reiki on lots of them,but it’s not allowed, protection of me and them. I wish folks were more trusting.